MetaWrap MD-X is a 50-micron ultra-conformable, extensible digital wrapping media, supplied with the METAScape air release adhesive system to allow quick and easy application on compound curves as well as moderate recesses. 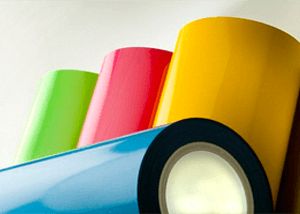 The soft film has been developed to flow and conform over the most challenging surfaces so it’s ideal for total vehicle wraps. The grey block-out adhesive ensures vibrant graphics and minimal substrate show through, as well as clean removal. 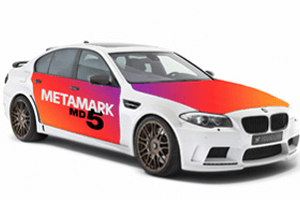 Metamark MD3 Digital Vinyl offers a very high level of performance for short to medium term applications including point of sale, signing, exhibition and display, vehicle graphics and applications onto most flat or gently curved surfaces. For more info click here. 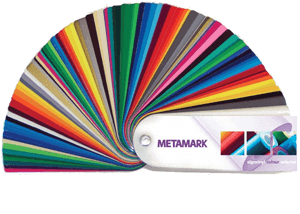 Start using Metamark MD5 in your printer and you could be forgiven for thinking you’d had a hardware upgrade. 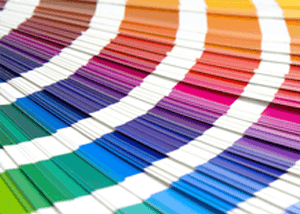 No other polymeric calendered material can give you the amazing quality you’ll get with MD5 across a whole range of inks - including Solvent, Eco-Solvent, UV and Latex - printers or applications. For more info click here. Metamark 4 Series is a superior quality calendered sign-making vinyl. It is suitable for intermediate term internal or external applications onto flat or curved surfaces. Durability: 5 years for black and white, 4 years colours and 3 years for metallics. For more info click here. Metamark 7 Series is a premium grade polymeric calendered sign-making vinyl. It is perfect for vehicle applications and window and outdoor graphics onto flat or curved surfaces. Durability: 8 years for black and white, 7 years for colours and 5 years for metallics. For more info click here. A premium grade polymeric calendered translucent sign-making vinyl for use with light boxes where the film is to be backlit. The satin 80-micron film features a crystal clear adhesive and a lay-flat release liner. Metamark T Series Translucent Vinyl offers outstanding brilliance and consistent colour transmission. The Metamark XE Series is a superior quality monomeric calendered vinyl with a 70-micron soft handle face film and a lay-flat liner. It has a permanent acrylic adhesive and is suitable for internal or external applications onto flat or slightly curved surfaces. Metamark MD-100 is a 3 year calendered digital vinyl for short to medium term outdoor graphics. Applications include advertising, point of sale, windows, advertising boards and other promotional applications. 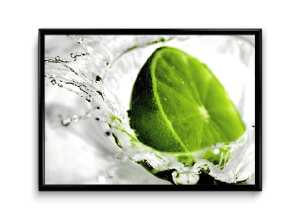 The 100-micron film gives the product ease of handling onto flat panels, and may also be applied to slightly curved surfaces.